Offering a wide range of Marble Kal Bharv Statues is one of the most widely revered and most popular of all Indian divinities. Our Statues are dexterously carved by a team of expert designers and artisan, Our statues show the expert craftmanship of our artisans. Further, our craftsmen make these statues with perfection as feasible for this lord of beginnings. 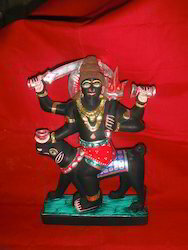 Our respectable clients can avail from us, a pristine array of Bhairav Statue. This range is crafted from optimum quality material, in complete compliance with industry quality standards. In order to cater varied demands of clients, the offered range can also be customized in different designs and sizes. To ensure that only flawless product is dispatched from our end, our range is rigorously tested on various quality parameters. Note : Prices depends on Size, Quality and Carving Work. Counted as one of the prominent organizations, we are engaged in providing a wide range of superior quality Nakoda Bhairav Statue. This range is designed at par with the industry standards by our experts using the finest grade raw material and advanced technology. The offered range is highly demanded in the market and is available in different designs and patterns as per the requirements of clients. 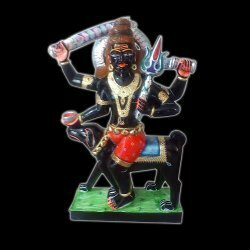 With years of experience in this domain, we have carved a niche for ourselves, in offering a wide assortment of Ugrachandi and Bhairav Statues. Designed with utmost precision, the offered range is available in various sizes, shapes and designs, as per specific demands of our clients. The offered statues are quality checked on well-defined parameters of industry. Further, our entire range is offered at the most reasonable prices to our respectable clients. 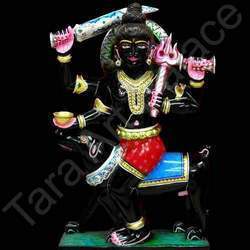 Owing to our enriched industrial experience, we are engaged in offering Marble Kal Bhairav Statue. This range is designed by our highly qualified professionals using quality assured wood and latest technology at par with set standards of quality. In order to ensure flawlessness in our deliveries, the offered range is checked against various quality parameters. Clients can avail this range of hanging from us at market leading prices. 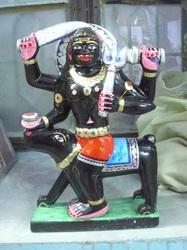 Offering a wide range of Marble Kal Bhairav Statue. Available at standard market prices, our product is highly satisfying for its advanced article such as fine finishing, dimensional stability and lustrous appearance. 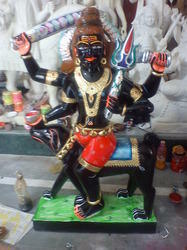 We are manufacturing, exporting and supplying a wide array of Kal Bhairav Statue. Our marble statue is highly appreciated for its advanced features such as fine finishing, dimensional stability and lustrous appearance. Looking for Marble Kal Bharv Statues ?